We are very proud of the displays in the Jordan Building at the Pioneer Museum. This building displays hundreds of military artifacts, including model Air Planes and Tanks. There are military uniforms, posters, and memorabilia from the Veterans of the Civil War, World War I, World War II, Korean War and Vietnam. Don Fisher donated a very large amount of the displays to the museum in 2009. My article today is about a historic one of a kind collection of World War II model airplanes and tanks donated by Don Fisher. 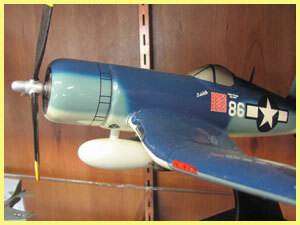 Include today descriptions of two American, one German and one Japanese model airplanes. Included also one German Tank and one American Tank. There are a couple dozen more model air planes and tanks on display. I will start with the “American M4 Sherman Tank. The actual full sized tank was first used in 1941. Carrying a crew of five. And weighed 31 ton, with a range of 120 miles at a top speed of 24 mph. Armament included a 75 or 76 mm cannon with a 50 caliber Browning Machine gun and two 30-06 machine guns. The “German Panther” full sized tank was first used in 1943 against America, carrying a crew of five and weighing 45 tons. The tank had a range of 160 miles and a top speed of 34 mph. Armament included a 75 mm cannon and two 7.92 mm machine guns. The first model airplane in this article is the American Army Air Force “Flying Fortress” Heavy Bomber plane. The Flying Fortress is one of the most famous airplanes ever built. The Flying Fortress served in every combat zone of World War II, but it is best known for the daylight strategic bombing of German industrial targets. Production of The Flying Fortress ended in May 1945 and totaled 12,726 planes. The next model plane is the P51 Mustang. This plane was one of the most effective planes of World War Two. The P51 Mustang gave the bombers of US 8th Air Force the fighter cover that it needed over occupied Europe. This greatly assisted the bombing campaign against Nazi Germany in World War Two. The first flight of the P51 Mustang was in September 1942. The aerodynamics of the Mustang were excellent. Initially it was underpowered, fitted with an Allison engine, it was used primarily for photo reconnaissance. This changed when it was fitted with the powerful V-1650 Merlin engine. This engine gave the Mustang sufficient power to enable its streamline shape to be used to its full advantage. The Allies' main opponent in the Pacific air war was the Japanese. We have a model of the Japanese “Mitsubishi Zero” it was the most famous symbol of Japanese air power during World War II. The fighter first flew in April 1939, and Mitsubishi, Nakajima, Hitachi and the Japanese navy produced 10,815 Zeros from 1940-1945. Zeros were produced in greater number than any other aircraft. Its distinctive design and historical impact make the Zero an important machine in air power history. Our last model is of the German Dive Bomber. It was one of the first planes used in World War II by Germany. The all-metal Ju 87 Stuka aircraft were the German Luftwaffe's primary dive bombers. At first glance, they were crude-looking, but this feature reflected the principle behind the Ju 87 design, which stressed the ease of production and the ruggedness of the aircraft. Two unique characteristics made these aircraft stand out: first, the dive brakes, automatic pull-up systems, and the strengthened airframes ensured that the bomber maintained control during dives. We would like to invite all the people interested in military artifacts’ to come to the museum to see everything that we have on display. We are always accepting more members, please join us at the Pioneer Museum, I know that you will find it worth your time to join and support our fine organization.